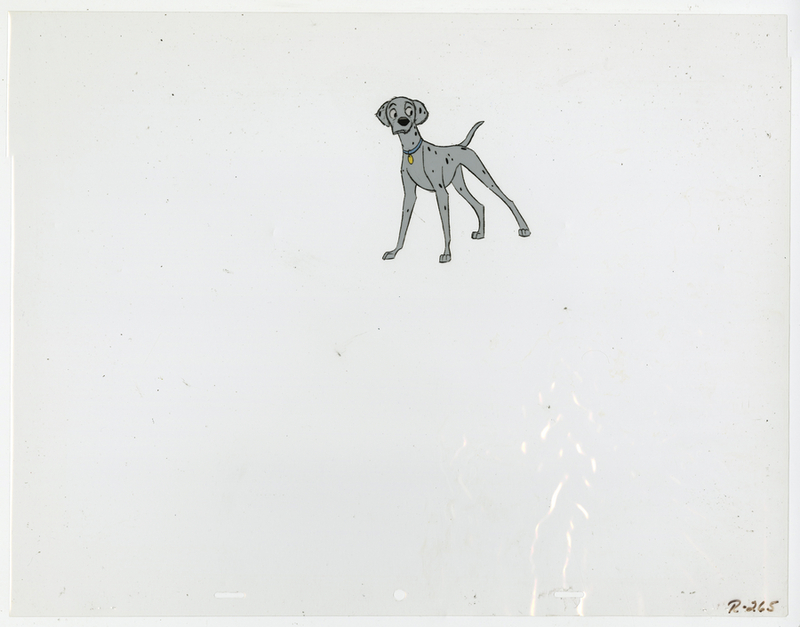 This is an original production cel from the Walt Disney Studios production of 101 Dalmatians (1961). 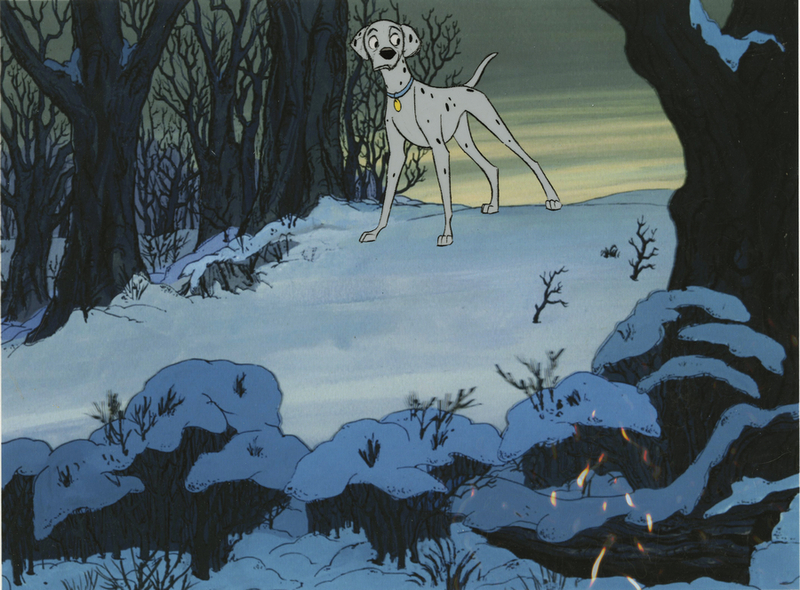 This cel features a great image of Perdita as she is leading the pups through the snow after visiting the cows, and was created at the studio and used during the production of the beloved classic. The overall measurements of the piece are 12.5" x 16" and the image itself measures 3.5" x 3". The cel is paired with a giclee printed reproduction background from the scene.